If it’s an even-numbered year, there’s a good chance of a competitive race for Texas’ 23rd Congressional District, a perennial swing seat sprawling across West Texas. Also likely is a fierce debate over which candidate is a better advocate for one of its key constituencies: veterans. 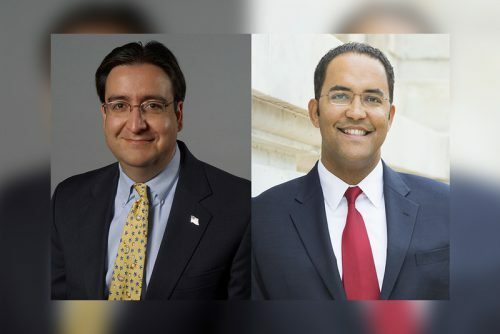 This time around, the debate is between Republican freshman U.S. Rep. Will Hurd and Democratic challenger Pete Gallego, who are squaring off in a heated rematch. Hurd, a former undercover CIA officer, is trumpeting his work in Congress benefiting veterans, while Gallego is arguing that Hurd supports funding cuts for veterans programs and is not standing up to his party’s bombastic presidential nominee on their behalf. For starters, the district is bookended by two cities with heavy military presences: El Paso and San Antonio. Plus, the issue is hardly new territory for Hurd and Gallego, who clashed over it in their 2014 race when Hurd unseated one-termer Gallego. And in a volatile district, it’s one issue where the candidates can appear above the fray. Both candidates have put the issue front and center in their TV ads. In his first commercial of the campaign, Hurd touted how he has “worked to get better care for our veterans,” while Gallego’s latest spot features two veterans attesting to how he fought to get them benefits while he was in Congress. Hurd’s campaign is also airing an ad contrasting his record on veterans with Gallego’s. Gallego is getting help from outside groups when it comes to pressing his case. 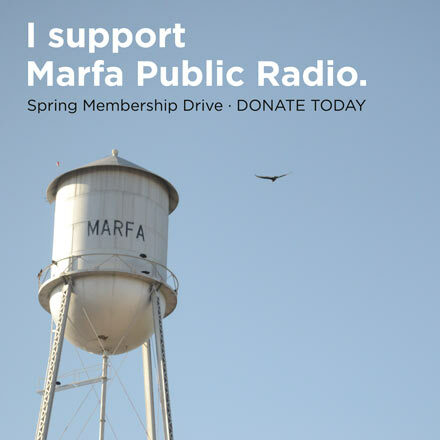 The Democratic Congressional Campaign Committee is on the air in the district with an ad that accuses Hurd of inadequately defending the military community against attacks from his party’s presidential nominee, Donald Trump. In recent days, Gallego has gone on the offensive, holding a news conference Friday to criticize Hurd with Cheryl Lankford, a Gold Star wife who spoke earlier this year at the Democratic National Convention. She accused Hurd’s campaign of using her as prop by including footage of her in a campaign ad. But regardless of what Hurd said two years ago, his campaign says he never voted in Congress to cut funding for veterans. “In fact, he has voted to provide an $4.6 [billion] increase for the VA,” campaign manager Justin Hollis said, pointing to Hurd’s support last year for the House budget bill. Hurd himself, campaigning with Gov. Greg Abbott on Saturday in San Antonio, fired back at the suggestion that he has been anything but fully behind veterans. Gallego’s campaign was ready with a statement hours later, again citing Hurd’s statement at the 2014 forum. “Mr. Hurd’s mouth often runs a little fast and loose — just as fast as he runs away from reporters asking him about Donald Trump,” Gallego spokeswoman Lyndsey Rodriguez said. Like many aspects of the race, Gallego has injected Trump into the conversation surrounding Hurd and veterans issues. The GOP nominee has alienated some veterans with his suggestion that U.S. Sen. John McCain, R-Arizona, is not a war hero because he was captured, as well as Trump’s protracted war of words with a Gold Star family in August. “When [Trump is] disrespectful of veterans, when he’s disrespectful of Gold Star families, when he’s disrespectful of prisoners of war — Mr. Hurd hasn’t said a word,” Gallego said in the interview. Regardless, Hurd frequently argues that such attempts to tie him to Trump are Gallego’s way of distracting from his own record in Congress. Hurd often notes that Gallego did not get any bills signed into law while in Congress, while he has authored four such piece of legislation — with a fifth one on the way that names Tornillo Port of Entry in El Paso County after Private Marcelino Serna, the most decorated soldier from Texas during World War I. Facing off again in the state’s only competitive congressional race, former U.S. Rep. Pete Gallego hopes strong turnout from Hispanics angered by Donald Trump will help him reclaim the 23rd district seat from Republican Will Hurd. The fundraising race for Texas’ only competitive congressional seat is heating up.Freshman U.S. Rep. Will Hurd, a Republican, hopes to fend off a challenge from the man he defeated in 2014, Democrat Pete Gallego. – Patrick Svitek, Texas Tribune. This article originally appeared here. This entry was posted in KRTS News and tagged Borderlands, Elections 2016, Pete Gallego, politics, Presidential Election, Texas Politics, Texas Tribune, TX-23, Veterans Issues, Will Hurd. Bookmark the permalink.